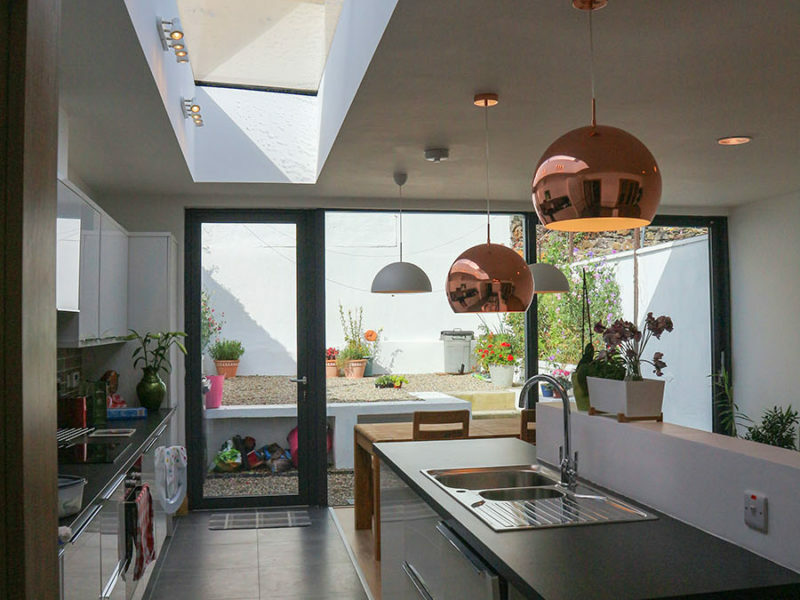 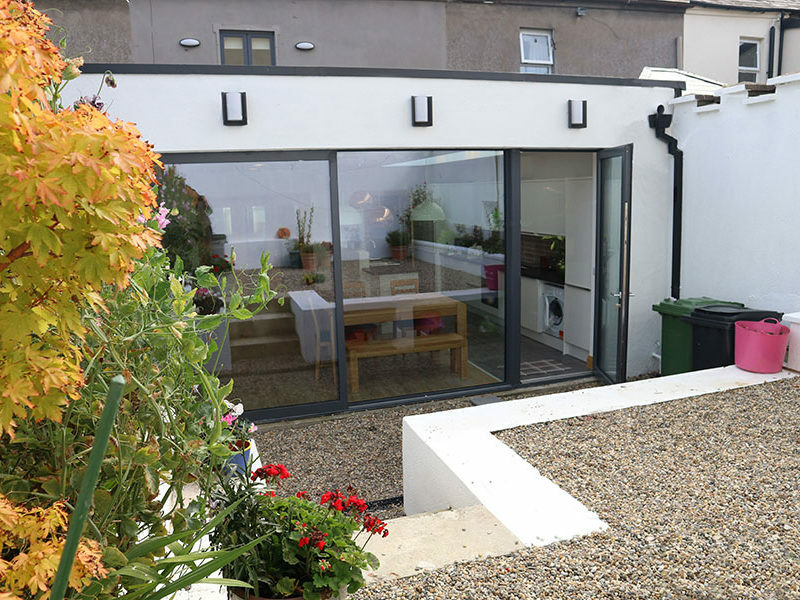 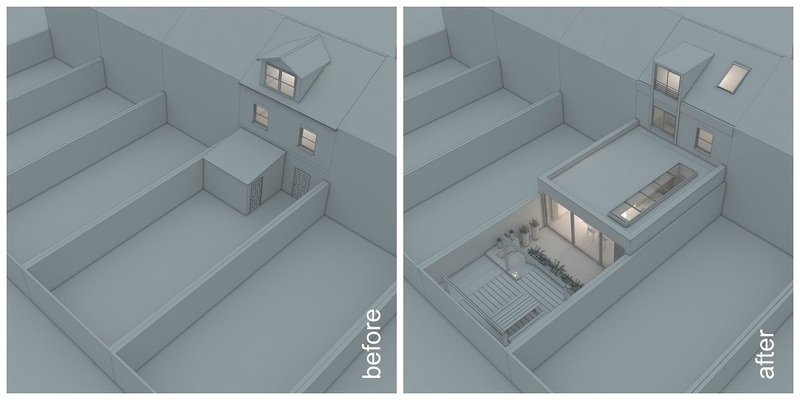 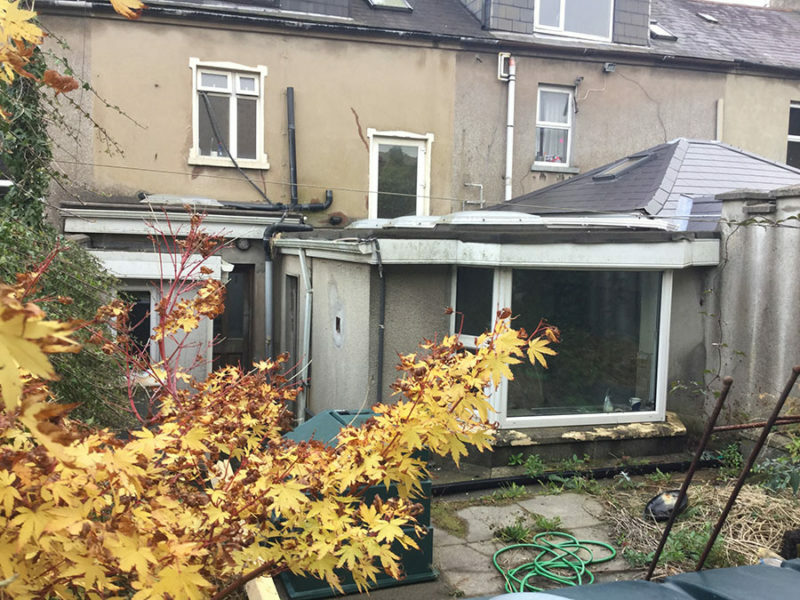 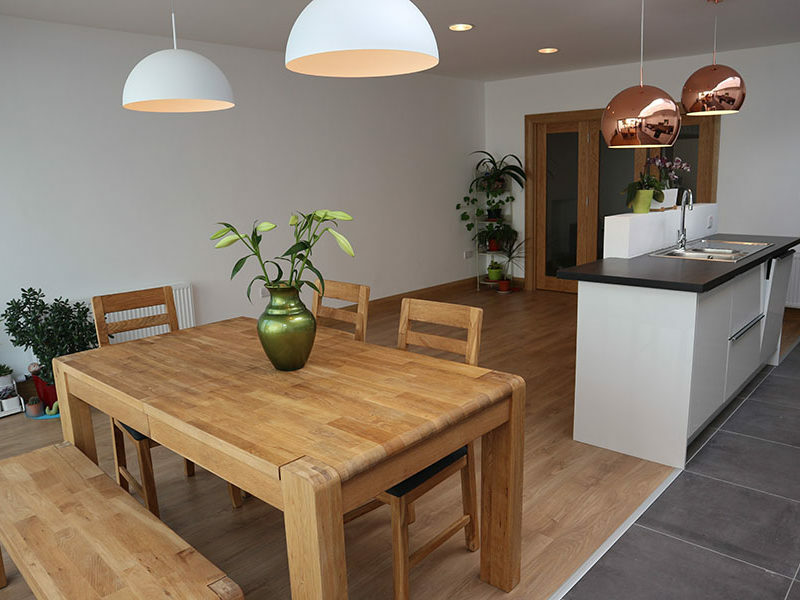 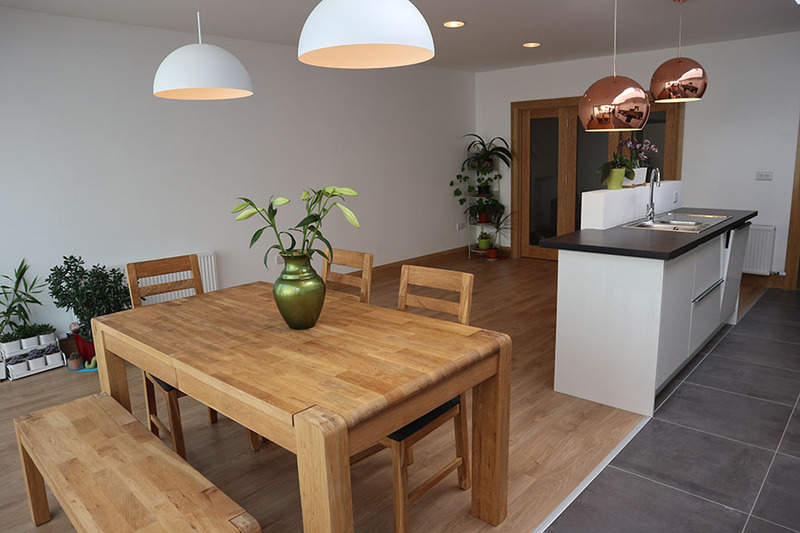 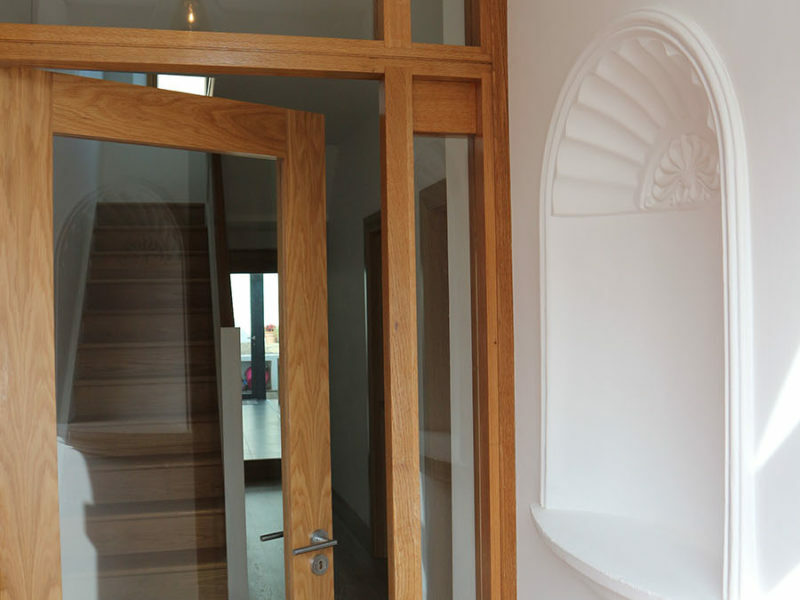 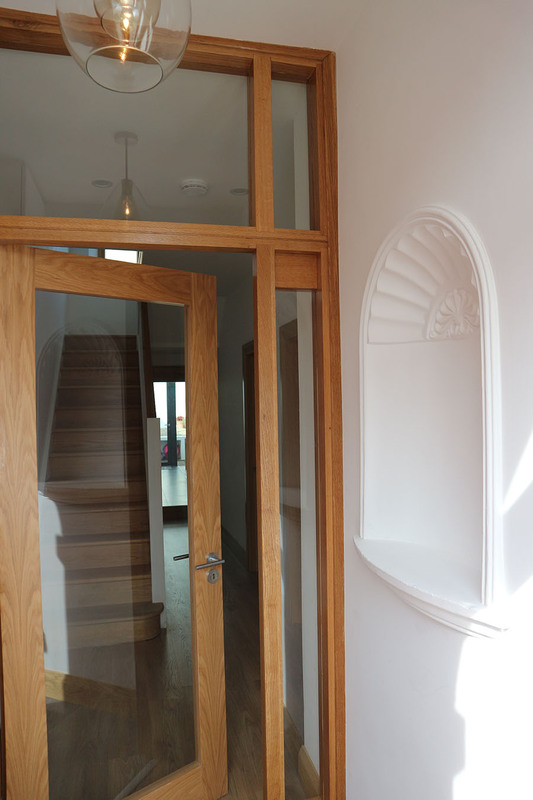 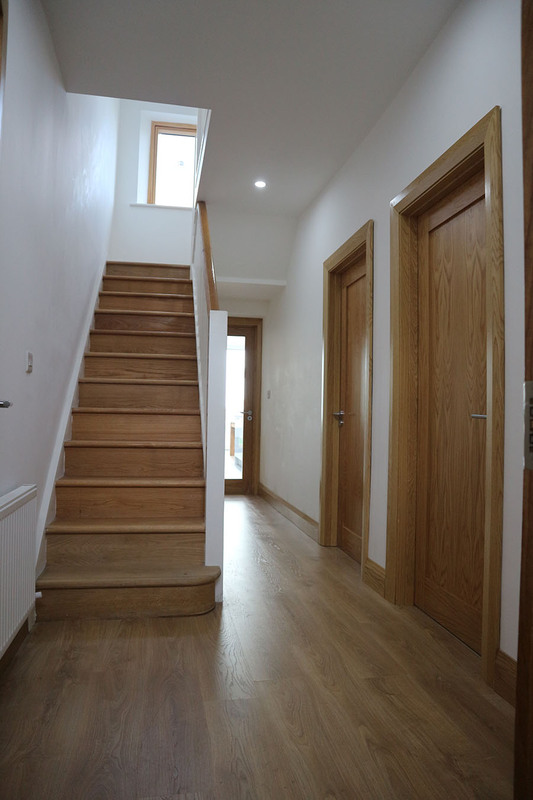 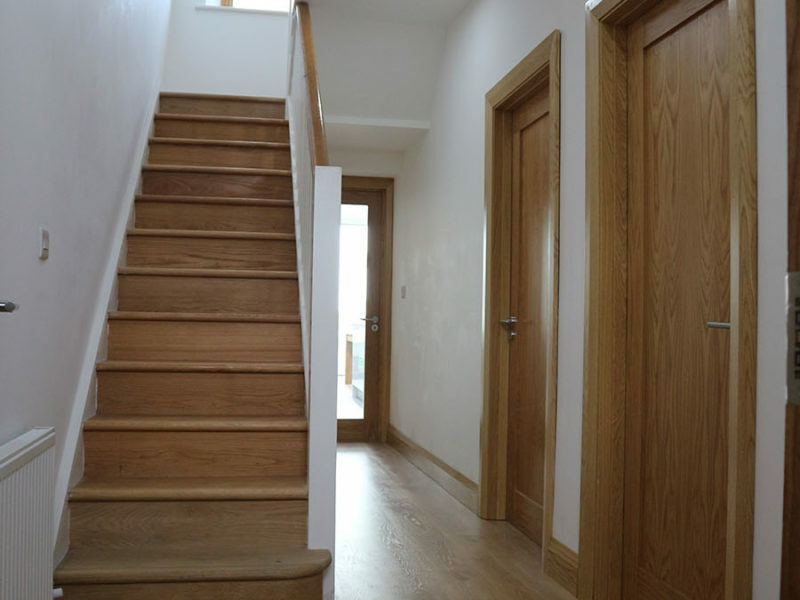 The project consists of a terraced house extension and renovation in Waterford City Center. 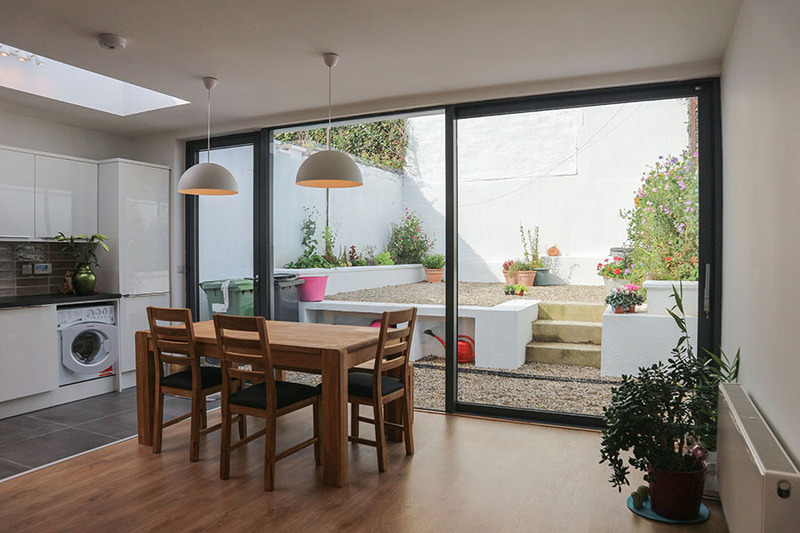 Our aim during the design process was reconfiguration of the ground floor to unlock the potential for natural light into the living areas and make a stronger connection with the garden. 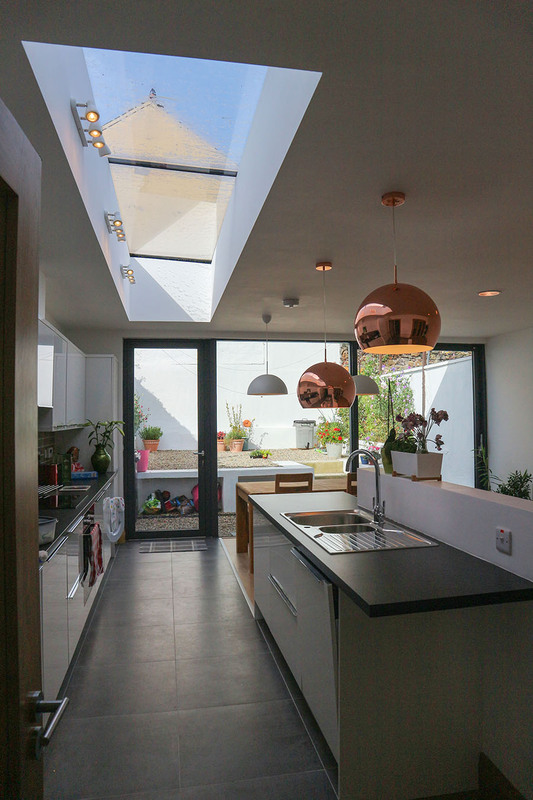 We designed a bespoke frameless glass roof light overhead in the kitchen to allow for the natural south light to flood into the new extension. 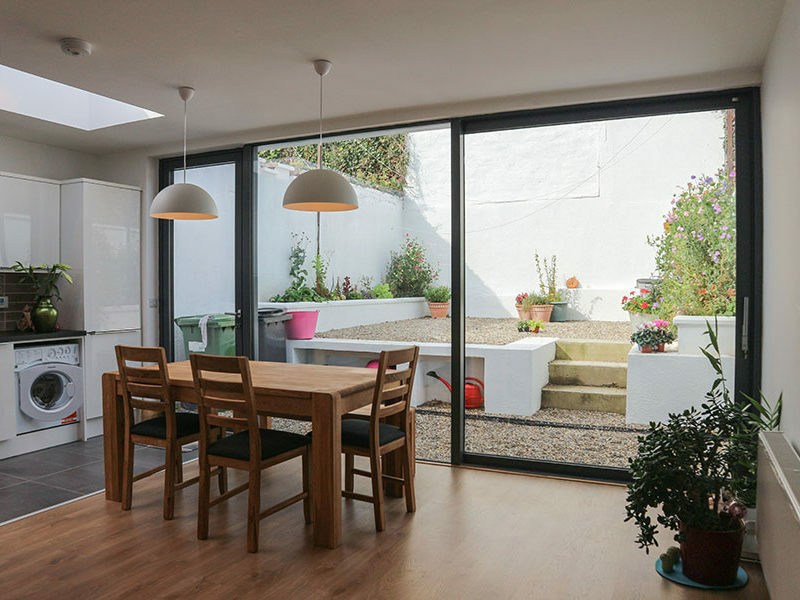 A folded glazed screen was designed to allow maximum views of the garden and access to the patio from both the kitchen and the living area. 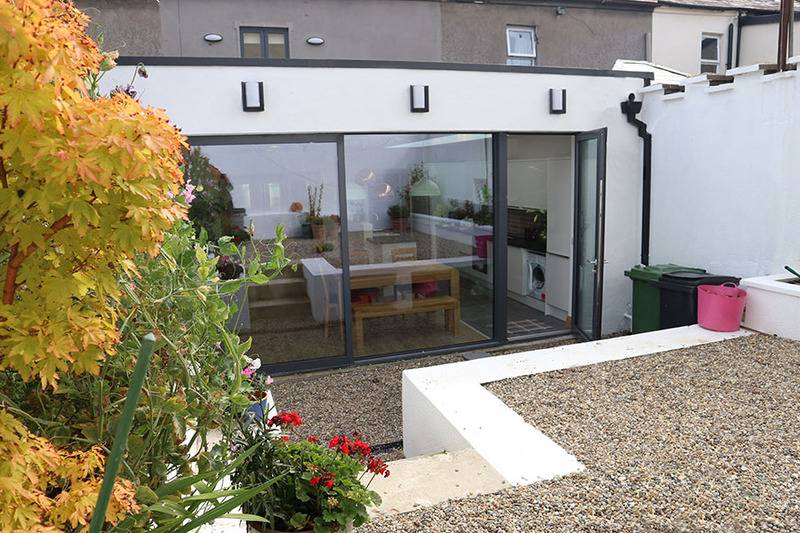 The long garden was sub-divided to include a deck, raised planters and barbecue area at the rear. 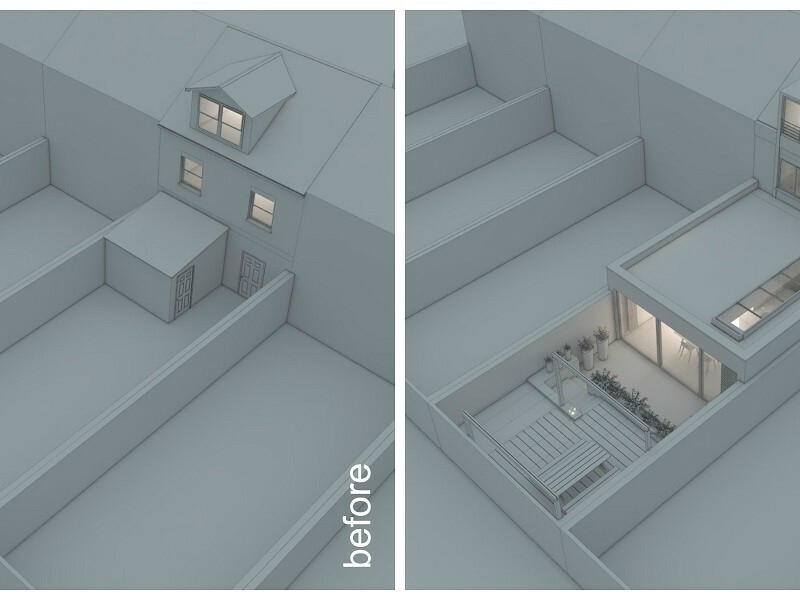 The overall design resulted in a fluent transition between the house and garden.